The original television soundtrack music by composer Barry Gray, sourced from Year One of the seminal seventies series. This is the first time Barry Gray’s music has been commercially available on CD. 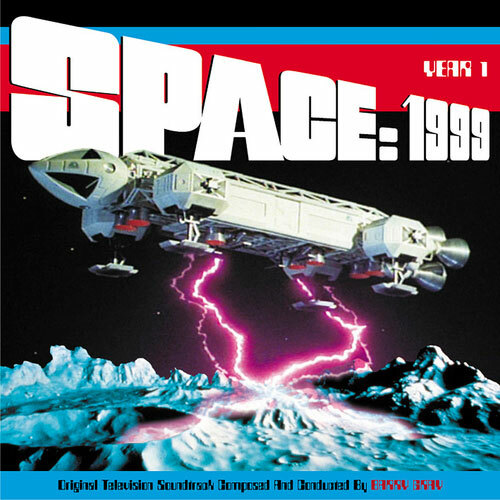 Original Space 1999 music was previously released under different packaging as a collectable limited edition item for Gerry Anderson Fanclub members. The first recording session for Space 1999 took place on December 11th 1973 with a 52-piece orchestra performing the opening and closing title music. For the series’ incidental music between 32 and 38 instruments were utilised at any one session, all conducted by Barry Gray. Featuring music from the following Episodes: Breakaway, Wargames, Matter Of Life and Death, The Infernal Machine, Force Of Life, Ring Around The Moon, Black Sun, Mission Of The Darians, The Troubled Spirit, The Testament of Arkadia and Another Time Another Place.